I was let go because I was diabetic. Do you identify with this statement? Are you diabetic? Were you terminated from your job after your employer learned that you were diabetic? Did your employer begin treating you differently after learning about your medical condition? Do you believe that the decision to fire you was directly correlated with your medical diagnosis? If you believe that your employer terminated you because you were diabetic, you might have grounds to pursue a claim against your employer – more specifically, you might have grounds to pursue a wrongful termination claim against your employer. If you would like to learn more about your right to take action against your employer after being wrongfully terminated based on your diabetes, you should seek legal assistance as soon as possible with the experts at California Labor Law Employment Attorneys Group. California Labor Law Employment Attorneys Group is an employment law firm with many years of experience handling a variety of claims, including wrongful termination claims based on medical conditions. If you would like the expert employment lawyers at our law firm to evaluate your current situation and provide you with information regarding your options after being wrongfully terminated, do not hesitate to contact our firm and request to speak with our attorneys as soon as possible. For most people, diabetes does not affect the ability to work in any way. In some cases, especially in cases where diabetes is uncontrolled, diabetic employees actually pose a risk in the workplace. For example, those with type 2 diabetes could suffer hypoglycemic episodes due to dangerously low blood sugar. This could result is sudden weakness and even the loss of consciousness. Even outside of the workplace, a hypoglycemic episode could be dangerous. However, in some workplaces in which employees are required to handle dangerous equipment, handle weapons, or perform hazardous tasks, diabetic employees could pose a serious risk to themselves and to other employees. Can I be fired if I am considered a safety risk to myself and others in the workplace? If you are considered a risk in the workplace, you will likely need to undergo a medical assessment. Further, if you are found to be a direct threat, you could be legally terminated from your position. For more information, do not hesitate to contact the experts at our law firm at your earliest convenience. Although there could be valid reasons behind terminations of employees diagnosed with diabetes, many employees continue to be terminated based on diabetes discrimination. Did you suffer discrimination based on your diabetes? Did your employer treat you unfairly based on your medical condition? Were you denied work opportunities? Were you demoted? Did the mistreatment that you suffered eventually lead to termination? If you answered affirmatively to any of the questions mentioned above, you might have grounds to take action against your employer – as discriminating against you and terminating you just because of your medical condition is illegal. As an employee with a medical condition, you should be familiar with all of the following laws: The Fair Employment and Housing Act (FEHA); the California Family Rights Act (CFRA); the Americans with Disabilities Act (ADA); the Family and Medical Leave Act (FMLA). You should also be familiar with the fact that a diagnosis of diabetes can be considered a disability – that requires reasonable accommodation. Would you like to learn more about diabetes discrimination and termination? Would you like to learn more about the laws that protect you from discrimination and termination based on your medical condition? If so, do not hesitate to contact the experts at California Labor Law Employment Attorneys Group at your earliest convenience. The diabetes wrongful termination lawyers at our law firm are ready to provide you with all the information that you need to take action against your employer. Do you have the right to take action against your employer? What could you do if your employer fired you just because of your diabetes? 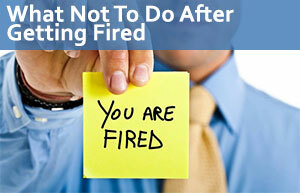 What can you do if you believe that your employer fired you illegally? All employees have the right to take action against their employers after suffering an illegal termination; if you were fired because you had diabetes (even if you didn’t pose a threat to yourself or others in the workplace), you can take action against your employer. The EEOC and DFEH are federal and state employment agencies, respectively, that enforce and oversee employment laws/claims on their particular level. All employment claims must go through one of these agencies. Employees can only file civil lawsuits against their employers after being granted the right to sue from the EEOC or the DFEH. If you would like more information about the many options available to you after you were fired because of your diabetes, do not hesitate to contact our law firm as soon as possible. Without a doubt, you have the right to take action against your employer after you were terminated solely based on your medical condition. Could you also recover compensation? If you successfully take action against your employer, will you be eligible to receive some sort of compensation? If you have any questions regarding the type and amount of compensation that you might be eligible to receive, it is essential that you seek legal assistance as soon as possible – as the type and amount of compensation eligible for recovery depends on the specific details of your claim. Pain and suffering: compensation awarded for the mental and emotional distress caused by the wrongful termination. Punitive damage: compensation awarded to punish the defendant in attempts to prevent similar incidents from reoccurring. Would you like to learn more about the specific type and amount of compensation that you might be eligible to recover if you file a wrongful termination claim after being terminated based on your diabetes, do not hesitate to contact the employment lawyers at California Labor Law Employment Attorneys Group as soon as possible. The employment attorneys at our firm are ready to evaluate your claim and help you gain a thorough understanding of the specific type and amount of compensation that you might be eligible to receive. When you contact our employment law firm, you could be certain that our lawyers will always fight for your right to recover the maximum amount of compensation available for your claim. For more information, contact our law firm today. Were you fired after your employer learned of your diabetic condition? Do you believe that your termination was based on your diabetes? If you were terminated specifically because of your diabetes, you might have grounds to pursue a wrongful termination claim against your employer. Would you like to discuss your claim with an employment expert to learn more about your right to take action against your employer? If so, you should seek legal assistance as soon as possible with the employment experts at California Labor Law Employment Attorneys Group. California Labor Law Employment Attorneys Group is an employment law firm with many years of experience handling a variety of employment claims, such as wrongful termination claims based on specific medical conditions. Our lawyers have successfully represented countless employees and helped them recover the compensation that they deserve. If you would like to discuss your claim with the knowledgeable employment attorneys at California Labor Law Employment Attorneys Group, do not hesitate to contact our law firm today. When you contact our firm, you will find that you could benefit from our free consultations and free second opinions. These free legal services are designed to provide you with all the information that you need without having to worry about paying any expensive upfront legal fees. During our free consultations and free second opinions, our employment attorneys will be available to answer all your questions, address all your concerns, and provide you with all the information that you need to take action against your employer for terminating you based on your diabetic condition. Are you interested in beginning or continuing your claim against your employer? Whether you want to start or continue your claim, you could trust the lawyers at California Labor Law Employment Attorneys Group to provide you with the guidance necessary to reach a successful claim outcome. Do not hesitate to contact our law firm at your earliest convenience. The free consultations and free second opinions offered by our firm are available as part of our Zero-Fee guarantee, which ensures that our clients – victimized employees – never have to worry about paying any upfront legal fees for any of our services. Our law firm is also based on a contingency structure; therefore, our clients will never be required to cover any legal expenses until after their claims are successful. If you do not win, you will not be required to pay for anything. To discuss your claim with our attorneys, do not hesitate to contact our law firm today.